Neptune SUPs 12ft Race/Tourer is a distinct looking beast with its slightly upturned nose – something that goes against current race/touring board thinking. As usual the bamboo veneer finish is distinctive of the brand and gives a uniquely identifiable trait. While not the lightest stick it’s pretty easy to transport to the put in. During the testing conditions were absolutely brass monkeys and the last thing we wanted was a dunking! Fortunately the 12ft’s stability is such that this wouldn’t be happening. Staying true to the touring/race hybrid concept the Neptune will keep all but the most clumsy footed rider from falling seaward. A composed nature permeates through every session and makes for a relaxing ride. This isn’t to say paddlers can’t step it up – on the contrary moderate downwinders are super fun. The pronounced nose rides high of rollers and stops any unwanted ‘slamming’ into the back of swells. As a race stick it would be heavyweights or newbie racers most likely looking at the 12ft. In fact larger boned sweepers will once again benefit from the board’s stability – not having to concentrate staying up right on start lines is half the battle! Back in touring mode and the Neptune 12ft is a joy for exploratory missions around either coastal or inland locations. Manufacturing techniques offer a degree of durability with the Neptune able to brush off small knocks without too much concern. During testing the stock fin was swapped out for something more performance orientated which saw the board take on a livelier feel. 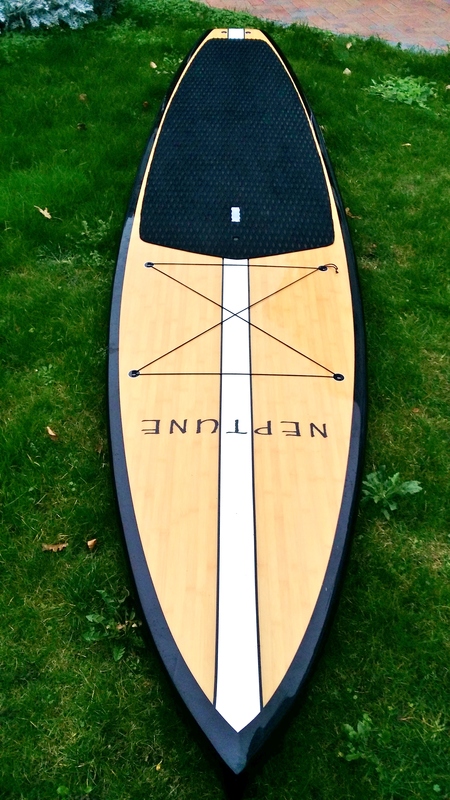 Neptune offer a Pro version which comes with carbon rails and carbon honeycomb performance fins. 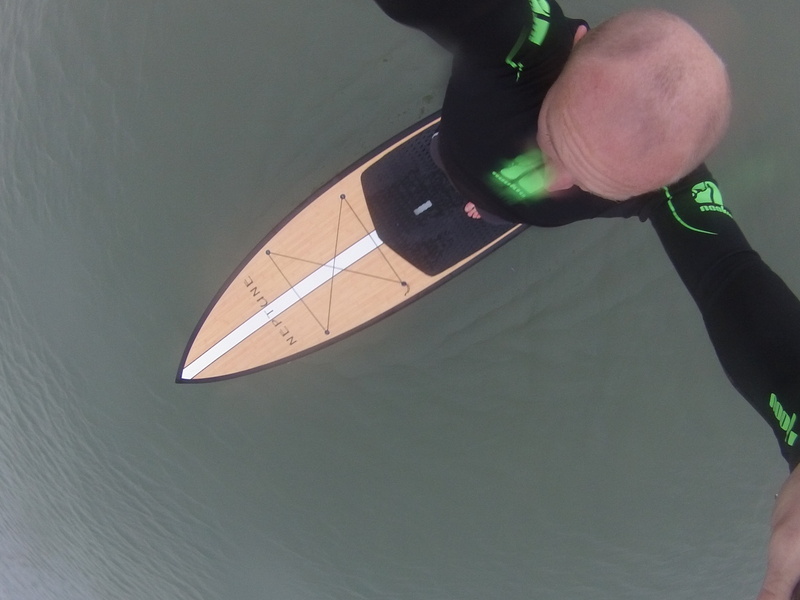 Fantastic stability and straight line tracking makes for a sublime touring SUP experience. Neptune’s 12ft Race/Tourer is also applicable for first time or larger racers, such is its forgiving nature. The board’s high riding nose stays clear of coastal chop while making it applicable for anyone trying downwinding for the first time. Neptune’s products stand out with unique livery while delivering maximum bang for your buck. Reblogged this on Tez Plavenieks – writing, editing, content.